On Oct 20, 2010, Bob had a flu shot. The following week Bob had chills and just couldn’t get warm. He had some difficulty swallowing on the right side of his throat. At one point he was wary about his balance with some stairs. On Nov 1 during a walk, he experienced some stiffness in his legs and lack of control with one of his feet. Later that night he found that he was numb and tingly in the base of the feet and lacked balance and the ability to stand. By the morning the numbness and tingling feeling had progressed up his legs. On Nov 2, Bob was immediately rushed to the hospital with Dr’s considering two possible medical conditions – ALS or GBS. Through their assessment they determined that he had Guillain-Barre Syndrome (GBS). They immediately administered IVIG treatment over the next 5 nights in hopes of reversing the syndrome. Yet, over the next 7 days Bob’s condition worsened as the paralysis began to ascend through his body in turn creating havoc on his respiratory system. 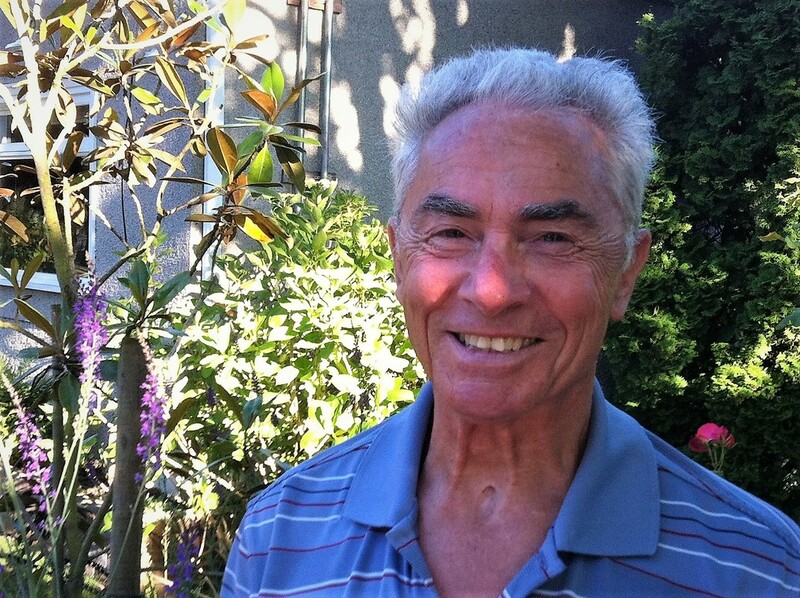 For those who don’t know Bob, he is an extremely fit, athletically active, 72 year old Personal Trainer for Oak Bay and Henderson Recreation. On Nov 9 Bob was transferred to the Intensive Care Unit (ICU) where they placed him on a ventilator and monitored him closely. At this point he was now paralyzed up to his shoulders. He could only slightly shrug his shoulders and move his neck/head. Among other tubes attached to him, he also had a nasal feeding tube. Communication from this point forward had become limited with Bob who had to start using an alphabet chart – blinking each time a letter was spoken that he was looking for to describe a word and also using as much eye contact as possible to help us understand him. We could only wait for him to plateau and with only one sign on Nov 12 that looked promising, sadly he dipped back deeper into the syndrome. On Nov 16 they tested the possibility of removing the ventilator, however, that was only successful for a few hours and he had to be placed back on the ventilator. On Nov 18 they removed the ventilator from his mouth and did a tracheotomy and attached the ventilator to the trachea. During the next 2 weeks he lost finite control of his muscles in his tongue including his eyes which has led to some vision problems. During the week of Nov 29 they administered another 5 day dosage of IVIG in hopes again of kick starting Bob’s system. On Thurs Dec 2 they decided to move his feeding tube from his nasal area and inserted the feeding tube through the stomach. By the end of the week Bob began to breathe more on his own while attached to the ventilator. He still needed ventilator support but this became an opportunity during Dec 6-17 as Bob had the pleasure to test his ability to breathe on his own. This has progressed slowly from 2 – 20 min sessions per day up to 2 – 1 hr sessions per day. In addition, some ‘slight’ signs of movement have appeared BUT he still remains paralyzed and on a ventilator. All of these changes are slow going and progress at their own rate with Bob having good and bad days. There aren’t any answers at this point. It’s a waiting game. People’s reactions of astonishment and disbelief have led to the outpouring of support and belief in Bob and his ability to persevere. We are overwhelmed with your kindness and words. Bob (my dad) is so appreciative and thanks each of you for reaching out to him. Written by Leslie Martin, Bobs daughter.